Most snow and ice melt applications are best served by using ProLine's self-regulating heating element, a highly recommended roof heating solution. Durable ProLine heat cables can be installed in roof gutters and drainpipes/downspouts to keep your home safe from dangerous ice and water damage as well as frost erosion. Determining the ideal heat cable, thermostat and sensor depends in part on the size, type and construction of the roof, and also on the overall requirements of the particular installation. Self-regulating cable comes with a 100 percent tinned copper braid, fluoropolymer outer jacket and a continuous metal ground band. The cable is UL recognized under the Appliance Wire Classification (file E 76498) and meets the requirements of Section 426 of the National Electric Code (NEC). This ensures durability, reliability and extremely effective performance. Automated roof heating systems feature a main controller (a snow/ice sensor) that activates the snowmelt system when moisture is detected and the temperature is below 39°F. This provides an extremely cost-effective solution for large areas of roof snow and ice melting. The master control unit is the premier snowmelt control unit in the industry, and is ideal for residential and commercial applications. Outdoor temperature sensors are intended for use on roofs and in roof gutters, while moisture sensors and wire sensors are normally fitted inside gutters where the melted runoff collects. The actual number and placement depends on the size and nature of the particular roof heating installation. 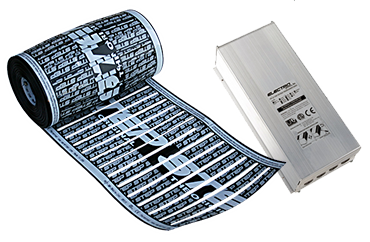 Self-regulating heat trace systems are easy to customize and install. You have many options when it comes to installing a radiant heated driveway or snow melting system, so feel free to contact a radiant heat expert to see what custom snowmelt system can be designed for you. ProLine roof heating experts are happy to consult with you and help you determine the system that best suits your snow melting needs as well as your budget. Call 866.676.9276 to learn more about ProLine's roof heating options. In addition to the many roof heating options available, it is important to note that ProLine also includes complete system design layout and installation support with each system. ProLine Radiant's superior customer service is one of the principle reasons why professional workers prefer dealing with ProLine. An affordable way to protect your roof is to install self-regulating heating cable along the edges of the roof. Rather than heating an entire area along the roof's edge, heat cable is "serpentined" along the roof's edge using roof clips. 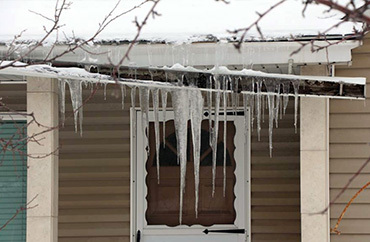 This allows runoff to reach the gutter and minimizes the chance of costly ice dams from forming. 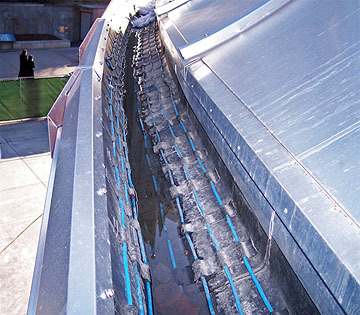 The heat cable prevents heavy snow and ice from building up along the roof eaves and gutters by allowing a steady channel for the melting snow. Runoff from the roof can quickly turn to heavy ice in cold gutters and downspouts. The weight and expanding ice in gutter seams or cracks can ultimately result in leaking or dislodged gutters. Eliminate the potential for costly damage to roof gutters and downspouts by using self-regulating heat cable and facilitate steady snowmelt runoff to protect your roof. If snow and ice consistently accumulate in in certain (possibly shaded) areas of your roof, install heat cable in those areas to eliminate the problem. Heat trace cable can be easily installed in trouble areas and in roof valleys to facilitate runoff. 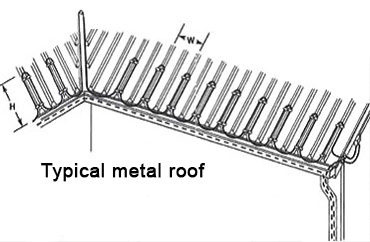 Also extending heat cable near the roof edges allows the runoff to reach the gutter and reduces the chances of ice dams forming in those shaded sides of the roof. 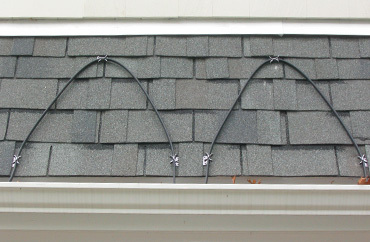 Using small roof clips, self-regulating heat cable can be easily installed to heat specific areas where snow and ice routinely buildup during the winter months. In addition to ProLine Radiant's heat trace cable solutions, you may also want to consider ProLine's highly-touted low-voltage roof heating system, featuring a highly effective self-regulating polymer heating element. Call 866.676.9276 to speak with a roof heating expert.